Normal sized jumper cables are often too big and bulky to use on a motorcycle. The Wild@Heart motorcycle jumper cables are perfectly sized for the terminals of a motorcycle battery. 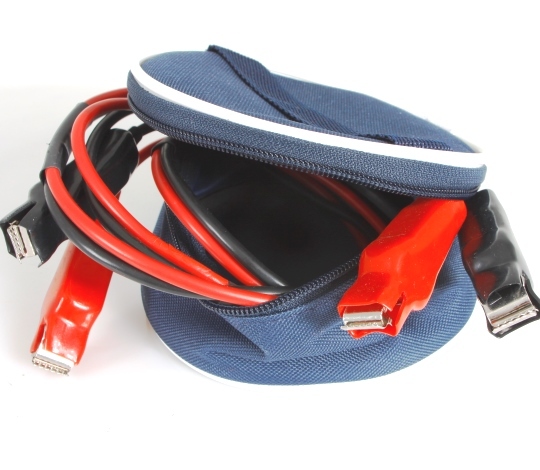 When in trouble and your motorcycle does not want to start, use these handy cables to get a jump start from another motorcycle or vehicle which also has a 12V battery. Strong, durable clips to connect to battery.